SCVHistory.com HS9102 | Heritage Junction | Newhall Ranch House Floor Plan, 1991. 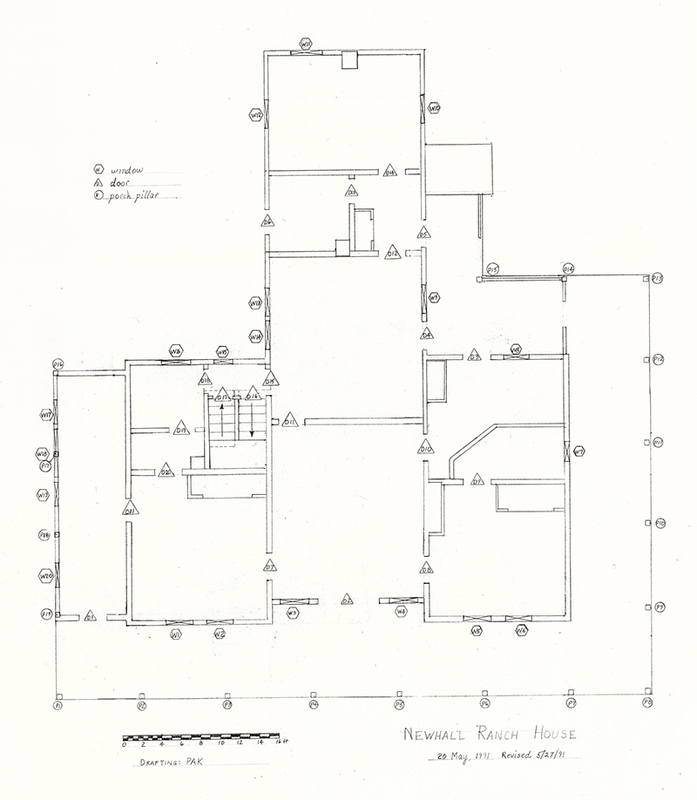 Floor plan of the Newhall Ranch House, which was moved to Heritage Junction in 1990 from what is now the employee parking lot of the Six Flags Magic Mountain amusement park. Drawing by Paul A. Kreutzer, rev. 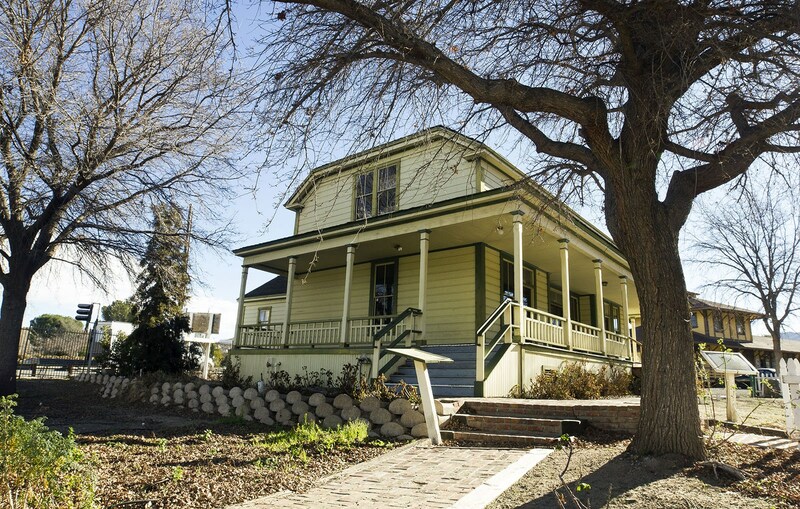 May 27, 1991, shows doors, windows and exterior porch posts. HS9102: PDF and 9600 dpi jpegs from original rendering, Santa Clarita Valley Historical Society files.